Kendu leaf collection in Odisha has become a bone of contention between local communities and the forest department, again. Two tribal villages, Nuapada (105 households) and Dheknapada (55 households) in Kalahandi district, are unable to sell the kendu leaf in spite of having the required titles to sell it as the Divisional Forest Officer (DFO) has denied them a Transit Permit (TP), necessary to transport produce outside the forest area it is grown in. The state forest department has repeatedly misused it to deny communities their right over Minor Forest Produce (MFP), including kendu leaf. This is a violation of the Schedule Tribe and Other Traditional Forest Dwellers (Recognition of Forest Rights) Act, 2006 (FRA), according to which forest dwelling communities have ownership over MFP. In fact, Gram Sabahs of villages where Community Forest Rights (CFR) titles have been given by the forest department can issue their own TPs. The Principal Chief Conservator of Forest, (Kendu Leaves), Odisha confirmed the same in a Right To Information request February this year. The problem arises due to the fact that the leaf is recognised as a nationalised product in the state, which gives the Forest Department a monopoly over its trade. The 200 odd households of the villages have collected more than 100,000 kerries (1 kerry = 40 leaves) so far. 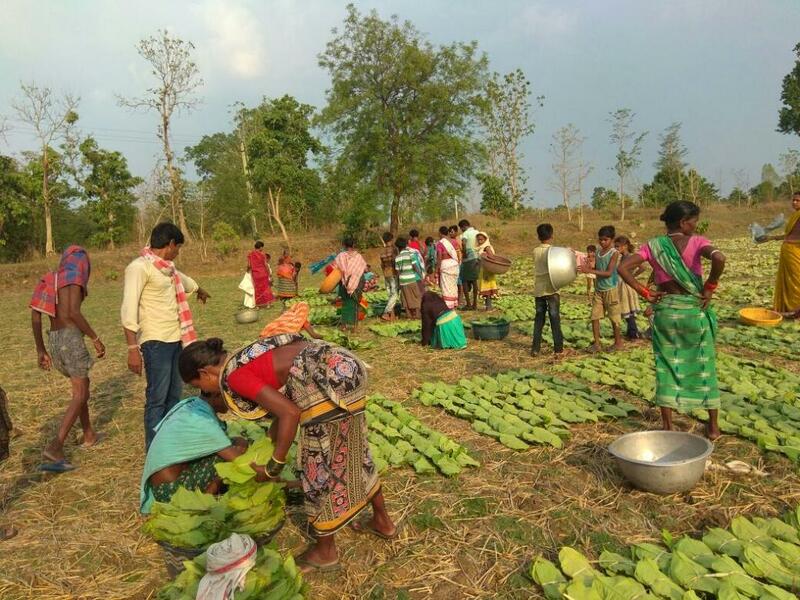 In what was a sign of forest dwellers successfully asserting their rights under FRA, in November 2017, the forest department of Odisha had allowed six villages in Kalahandi district to sell kendu leaves as per their discretion. The department’s notification dated November 17, came after the six villages were denied ownership rights over kendu, a commercially lucrative Minor Forest Produce (MFP) May last year. "Inspired by the success of Gram Sabha led kendu leaf business, Nuapada and Dheknapada undertook bush cutting of the leaf and plucked the leaves. Now the Divisional Forest Officer has refused to issue transit permit," says Chitta Ranjan Pani, a local tribal rights activist. “The DFO is denying TP on a baseless assertion that the villages’ CFR areas are not properly demarcated and hence TP cannot be issued,” Pani added. 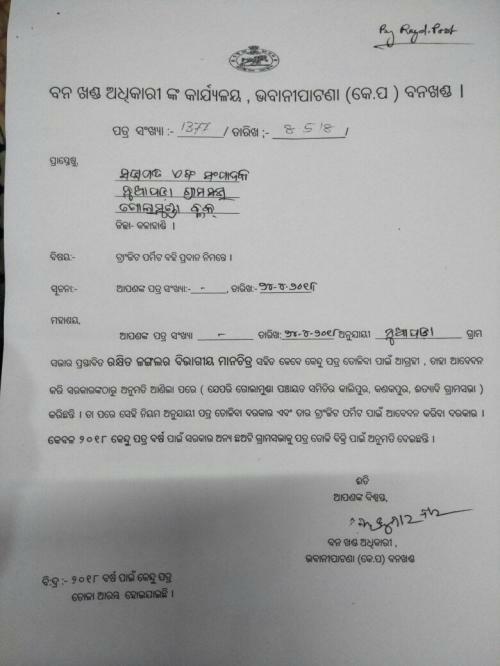 A letter from the DFO, Kendu Leaves, Kalahandi, addressing the Naupada Gram Sabha, has asking for the submission of their CFR map and a government permission to trade in kendu leaves. "It is unfortunate that the DFO has asked the Gram Sabha to submit their CFR map instead of helping the Gram Sabha to demarcate the CFR boundary in a participatory manner. It has been more than six years since Nuapada and Dheknapada gram sabhas got the CFR title and Forest Department never bothered to ask the same," says Pani. The Jamguda Gram Sabha is also facing a similar problem. For the first time, Jamguda gram sabha was involved in kendu leaf collection. But after having collected more than 100,000 kerries, forest department has withheld TP on account of CFR area demarcation issues. The DFO was unavailable for comment.